Want a tablet with a 3D camera? One that you can take around in purses and pockets? If that sounds like a distant dream, the LG Optimus Pad is coming to prove you wrong. Check out the LG Optimus Pad Preview to know more about this power machine. The Android Tablet competition is sure heating up. Thanks to techno biggies like Samsung, Motorola and LG and a host of wannabes like Asus, the Apple iPad finally has competition and how! 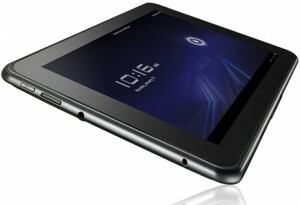 The success of the iPad has spawned a series of Tablet PCs that promise to be the next-big thing! With cooler features, robust performance and great looks, these head turners are coming one after another to start from where the iPad has left. And the LG Optimus Pad is one of them. Recently unveiled at the CES (Consumer Electronic Show), this LG product looked promising from a mile. Here is a lowdown of the LG Optimus Pad specifications. The Pad is supposed to be one of the first tablets to run on Android version 3.0 aka Honeycomb. According to the makers, the tablet will feature diverse contents and the OS is suspected to be responsible for some of it. The Android OS is the latest rage now and Honeycomb is slated to further add to its “wow” factor. Other features to watch out for in the LG Optimus Pad Android Tablet include support for tabbed web browsing, encrypted data storage and 3D graphics. Talks about the “wow” quotient reminded us of the looks of the LG Android Pad Tablet. Yup, this one is quite a stunner with its matte black back cover and nice smooth curves at the corner. The glossy touchscreen further adds to the Pad’s appeal and takes it up several notches. The device is only 149.4 mm high and 8.9 inches long. Sounds too short? Well, this one seems to have been clearly conceived keeping portability in mind. At only 630 gms it is very easy to slip into your denim pocket or purse and carry around. The smaller display size also means you can hold the Pad in Landscape view in one hand. Camera was a minus in the iPad and its rivals are falling over each other to come up with a great camera experience for tablet users. The Pad is billed to be the world’s first tablet with a 3D camera. You can capture 3D images and videos with this pretty thing and then enjoy them on a 3D TV. You need 3D glasses for that added experience on the pad itself. The LG Optimus Pad CES launch showed the device with dual cameras – a 5MP primary shooter at the rear that captures images at a gigantic 2560X1920 pixel resolution. Videos can be shot at 1080p@24 frames per second in 2D and 720p@30frames per second in 3D. The 2 MP front-facing camera can be used for video conferencing. The Pad boasts of a powerful dual core Tegra2 CPU from NVIDIA. Operations are sure to go razor smooth with the Tegra around. And that is necessary considering the network support this machine comes with. Buyers can surf on GPRS, EDGE, 3G and WIFI. The internal storage capacity of the LG Optimus Tablet is a cool 32 GB. The microSD card slots help you add to the Pad memory and shoot it up another 32 GB. A 6400mAh standard Lithium Ion battery powers this Android Tablet. The LG guys told us it can support a 9 hour continuous video playback. That is good enough, though it has to be seen whether it is for real. Though info about the LG Optimus Specs is out, there is still no official word about the pricing yet. 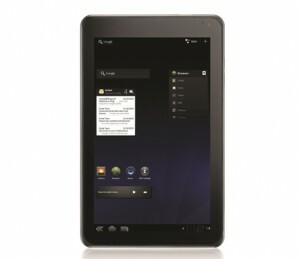 But the grapevine suggests that the LG Optimus Pad price will be somewhere in the £400-500 range. In the US, it is probably going to arrive at $450. LG Optimus Pad India price is expected to be around Rs 30,000. It is expected to release sometime in the US in the later part of the first quarter of 2011. In the UK, it is supposed to launch in April or May. Information is still unavailable about the release date of the LG Optimus Pad Tablet in India. Style, feature and capability – the LG Optimus Pad Android Honeycomb looks promising on all counts. Even with eyes shut, you can count this one as one of the Tablet biggies this year. But is the LG Android Tablet really as great as it sounds? Wait for our LG Optimus Pad Review to find that out!